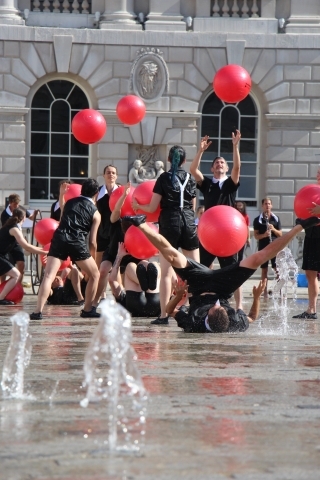 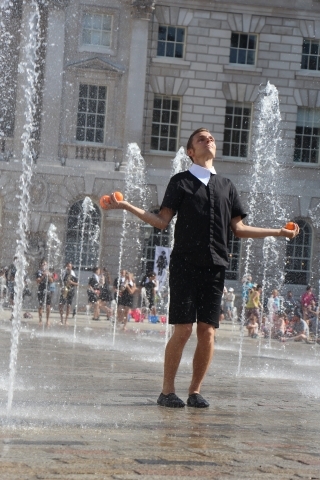 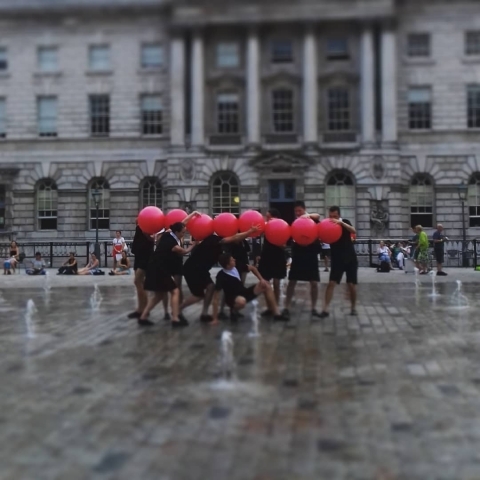 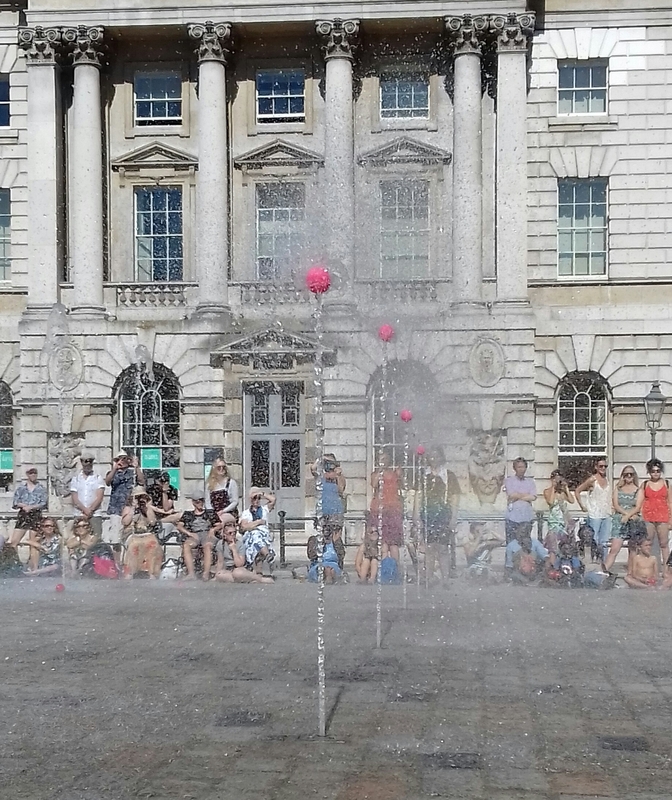 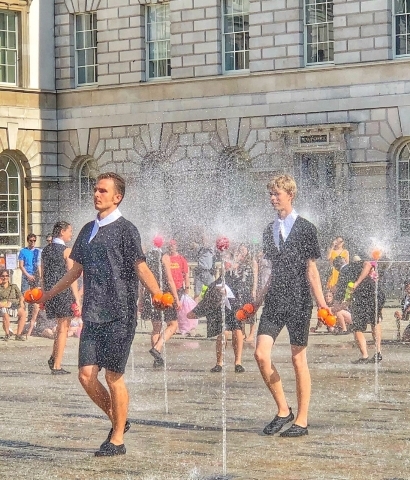 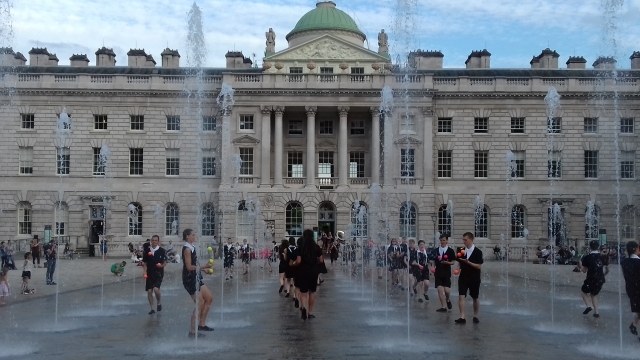 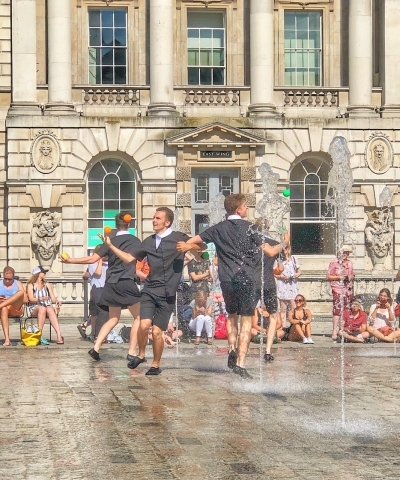 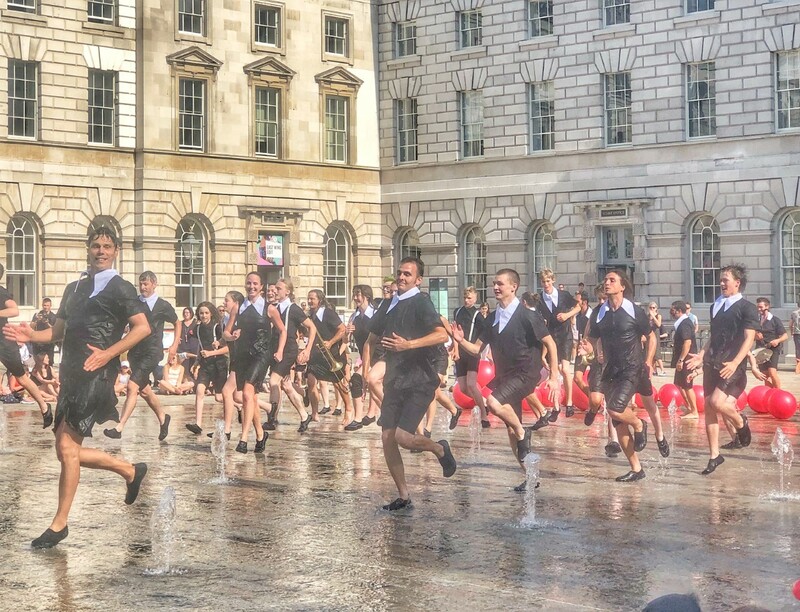 As part of circus250, Gandini Juggling were commissioned to create a bespoke show in the Fountain Courtyard at Somerset House in London. 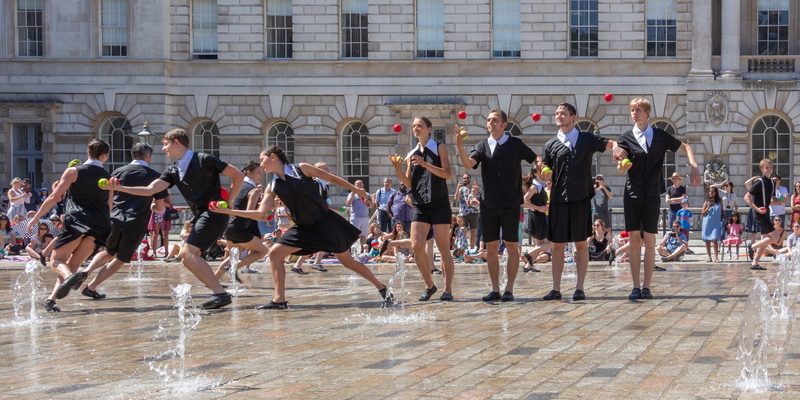 The show involved 10 professional jugglers (myself included), roughly 17 young jugglers sourced from community workshops and the 10-piece acrobatic brass band Circa Tsuica. The show was part of Circus Sampler and produced by Crying Out Loud. It was an incredibly fun and refreshing show to be a part of. 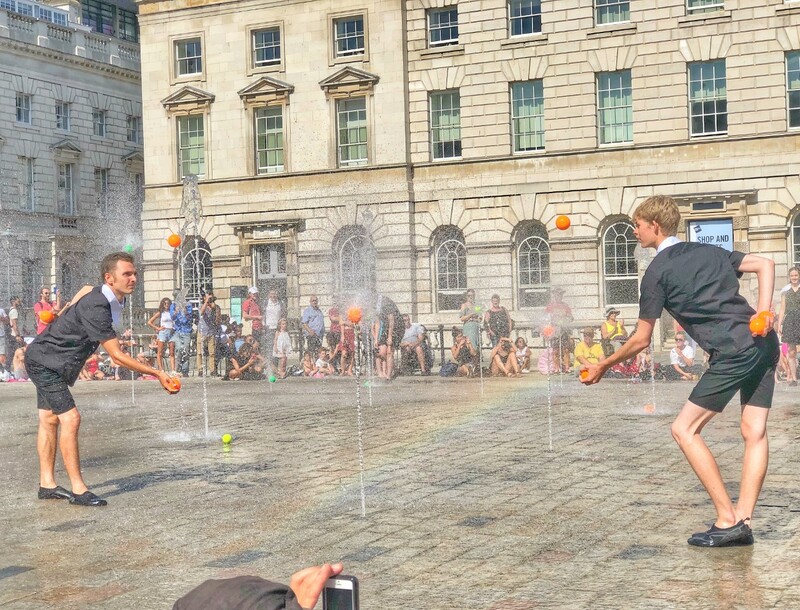 Juggling in the fountains came with its own set of challenges, with water making the juggling balls slippery and hard to deal with. 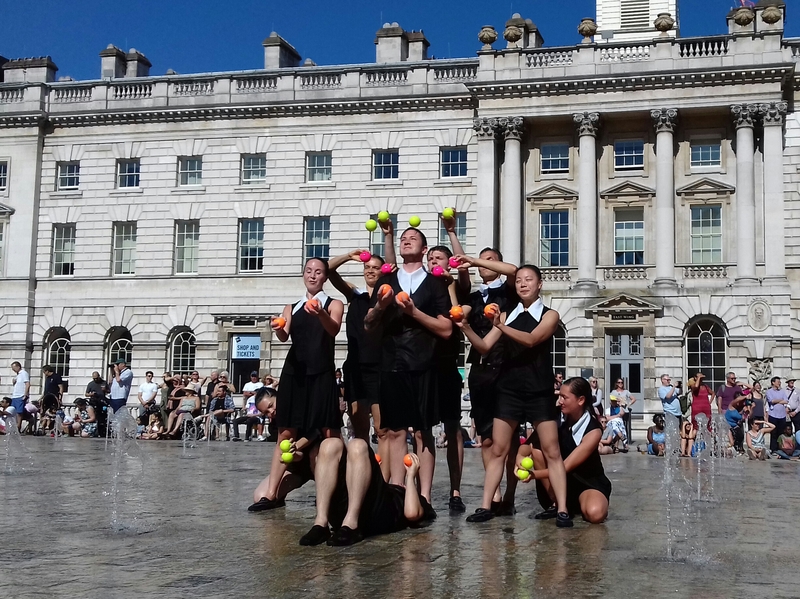 It was also fantastic experience to work with such a large juggling ensemble and having to quickly pick up the choreography generated rapidly by the dancers. Thanks to Gandini Juggling and Crying Out Loud for having me as part of the project! 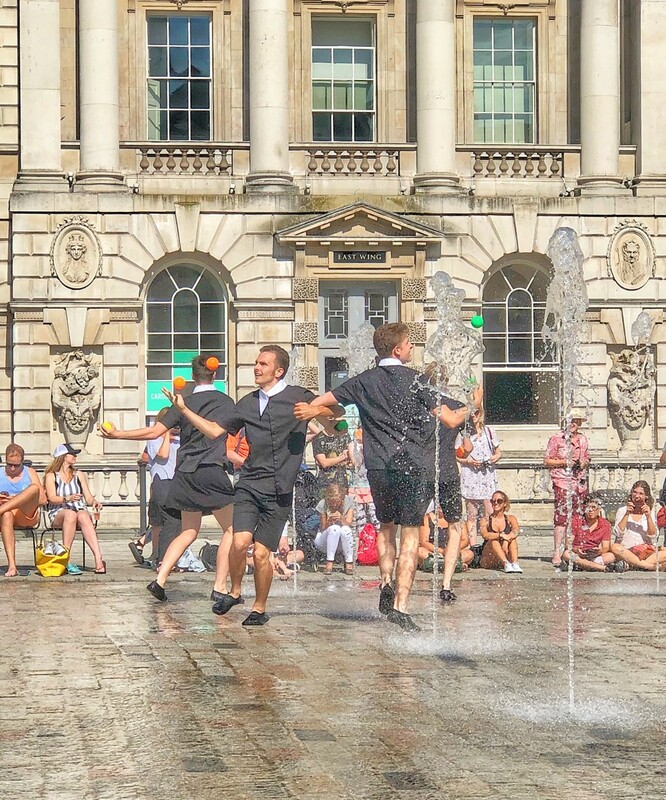 The photos below are re-used with permission from the photographers, click the photos below for links to their profiles.